Are you still using old "mailto:" HTML format? It's useless because most of visitors don't have local mail client software. 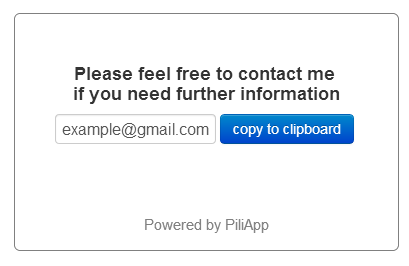 Let's try a cool Email Link which has auto-copy feature. And it links to following page with auto-copy feature.